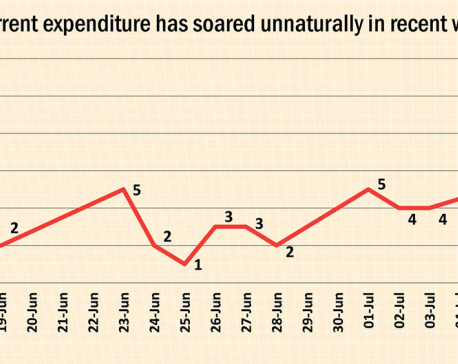 KATHMANDU, June 9: The government has aimed to suppress recurrent expenditure but has projected a whopping growth of capital expenditure in the next three fiscal years. 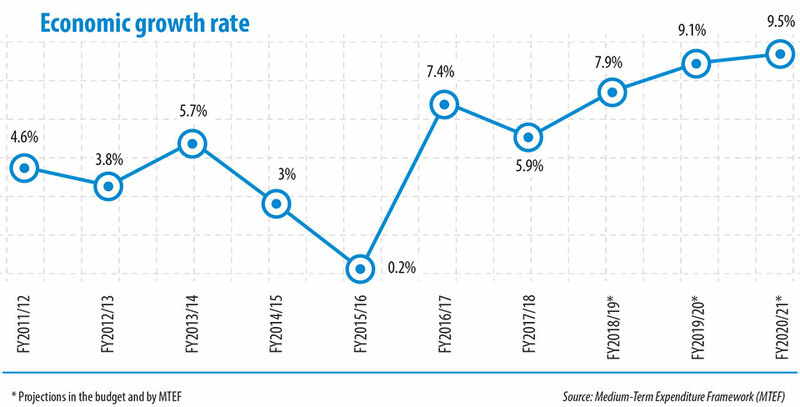 Regular spending, mostly for the purpose of paying salary and other expense for office operations, will see a marginal growth of 14 percent in the Fiscal Year 2020/21 compared to the budget for the upcoming Fiscal Year 2018/19, according to the projection of the government’s expenditure in its Medium-Term Expenditure Framework (MTEF) tabled in the parliament last week. The framework was unveiled on Thursday through the website of National Planning Commission. But capital spending of the federal budget will jump by 120 percent to Rs 690 billion in FY2020/21 from Rs 313 billion of FY2018/19. However¸ these amounts do not include spending by local level units and provinces. Putting a break on the regular expenditure will be a move to be welcomed by all quarters amid worries that allocations for development activities have long seen marginal growth while such spending for regular spending had been increasing by leaps and bounds. Reversing the increase in allocation for development versus recurrent budgets has also come at a time when almost all the money allotted for regular spending has been spent. But on average, only 80 percent for the development budget is being spent. However, there are lots of challenges to spend the development budget that requires translating projections into reality and bringing changes in the country. At least these are not seen in the recent past with the government of Khadga Prasad Oli in power with a near two-third majority. Prime Minister Oli has announced his plan of setting up a special entity led by himself to oversee development projects. The government has projected total budgets of Rs 1,577 billion and Rs 1,864 billion for the Fiscal Years 2019/20 and 2020/21 respectively. The revenue growth target is kept at 47 percent in three years to reach Rs 1,226 billion. However this target does not include the revenue of local level units and provinces. However, the government has aimed to spike external borrowing debt, which will soar by 38 percent to Rs 351 billion in the Fiscal Year 2020/21, while internal borrowing will increase by 20 percent to Rs 215 billion. The government has slightly changed its growth target for the next fiscal year to 7.9 percent from 8 percent, according to the 312-page-long MTEF document. The growth target in the next two fiscal years (2019/20 and 2020/21) will be 9.1 and 9.5 percent respectively. 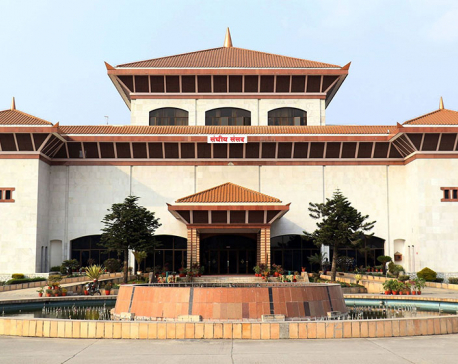 A growth target of double digits in five years was announced in the policy and programs tabled in the parliament before the finance minister tabled the budget on May 29. The MTEF has been tabled in the parliament for discussion, along with the budget documents provisioned by the Inter-Governmental Fiscal Arrangement Act 2017 in the parliament. The MTEF is regarded as an instrument to make the budgeting and planning process more pragmatic and focused on the periodic plans and goals. The MTEF is an instrument that sets the three-year expenditure priorities and budget planning in line with periodic development plans and policies.